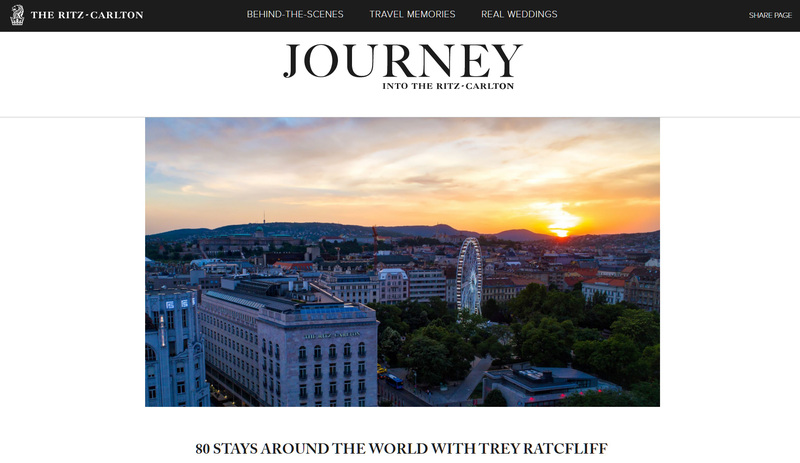 Trey Ratcliff is a photographer, artist, writer and adventurer.His images and stories capture the beauty of exotic travel destinations and the humor of bizarre situations he often finds himself in. There is always something new, unexpected and beautiful to see. Each day, Trey posts a new photo to his website, StuckInCustoms.com, the #1 Travel Photography blog, which receives over one million monthly page views. His photos have been viewed over 100 billion times and currently has over 15 million online followers on Pinterest, he is the #1 most followed male (#20 overall) with over 4 million followers. His Pinterest receives over one million monthly views and over 400 thousand daily impressions. Growth is ACCELERATING at a rate of 150 million views per day. During August and September of 2015 we traveled from New York to Los Angeles on a coach bus stopping in 13 cities across the USA. We held huge Photo Walks with hundreds of people in each location. Photo Walks are tremendously fun (and free!) events for the whole family! Everyone is welcome…from beginners to advanced photographers, from mobile phones to giant chunky DSLR. What happened at each city? We all met at a certain location, I jumped atop our party bus and made a quick speech like Mussolini, and then we spent about 2 hours walking through the streets together, taking photos all the way. View highlights from each city.